Murphy Armstrong & Felton, LLP is a litigation and appellate firm located in downtown Seattle near beautiful and historic Pioneer Square. With over 63 years of combined experience defending businesses, governmental entities, and institutional clients throughout the Pacific Northwest, our lawyers routinely try cases and handle appellate matters across the region. Our attorneys handle litigation, appeals, and other legal disputes for local, regional, and national businesses, manufacturers, insurers, contractors, developers, claims manager and individuals with legal needs. 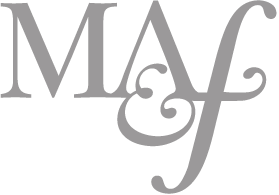 Murphy Armstrong & Felton is approved and serves as panel counsel for numerous institutional clients, governmental entities, national insurance companies, and claims adjusting firms. Our lawyers have broad trial and appellate experience in federal and state courts throughout the Pacific Northwest. We have successfully defended multiple large liability cases defense verdicts, including cases involving employment and wrongful termination, environmental contamination, professional liability, insurance coverage, premises liability, construction defect, products liability, and wrongful death and catastrophic injury. Our civil litigation experience extends well beyond the trial court level. We have several lawyers with specialized appellate experience from years of service as judicial clerks to judges of the Washington State Court of Appeals. This unique combination of experience not only gives our attorneys exceptional tools to prevail at the appellate level, it also helps us obtain favorable results for clients at trial.